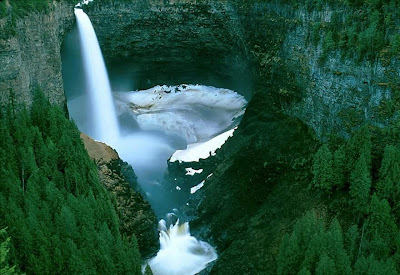 Helmcken Falls is a 141 m (463 ft) waterfall on the Murtle River within Wells Gray Provincial Park in British Columbia, Canada. 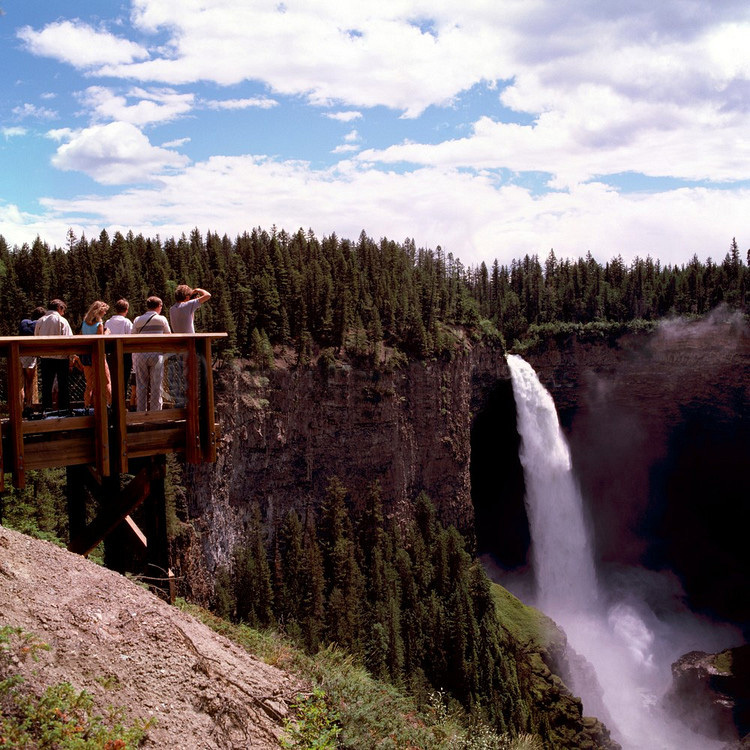 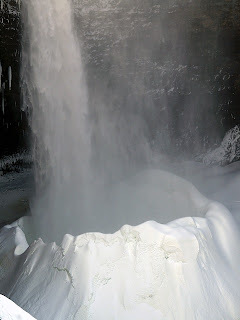 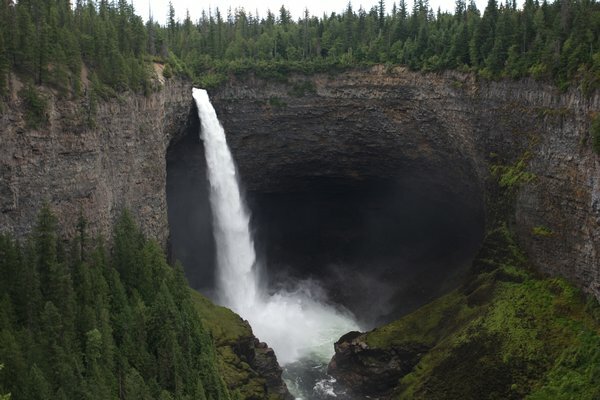 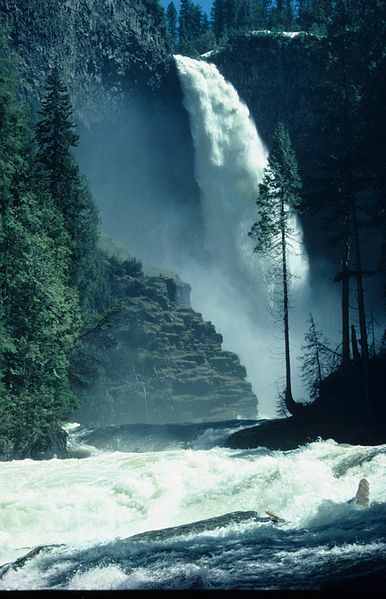 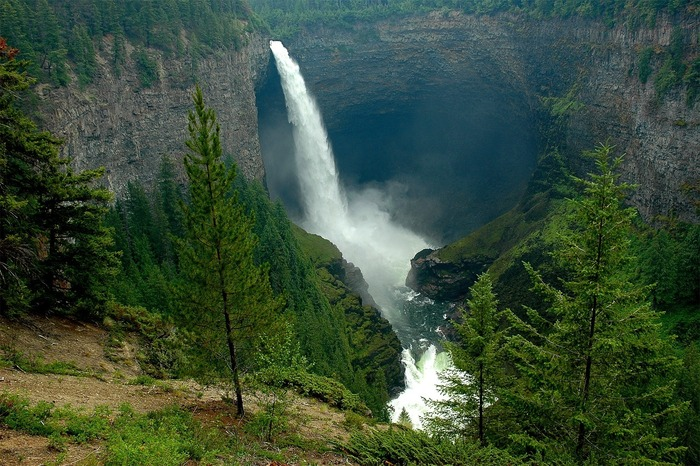 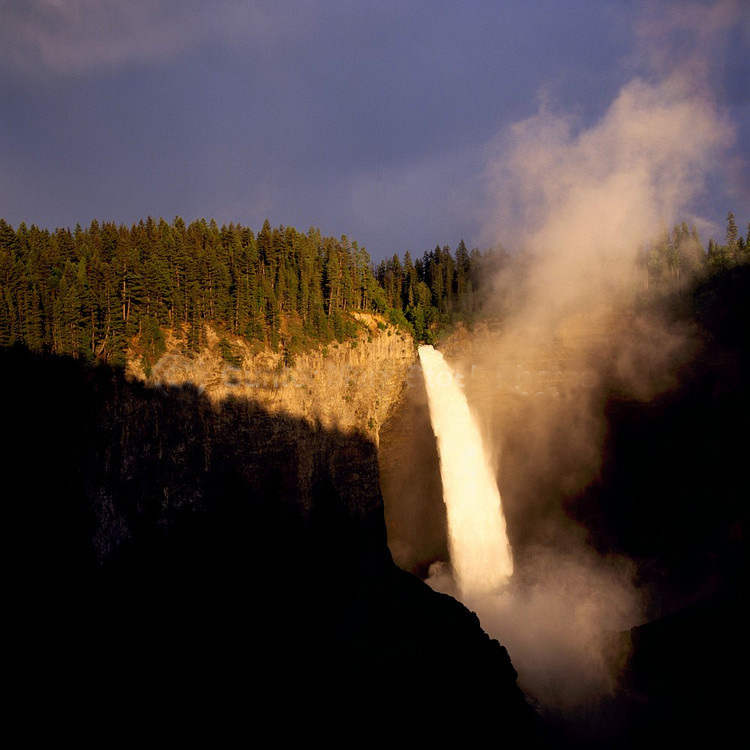 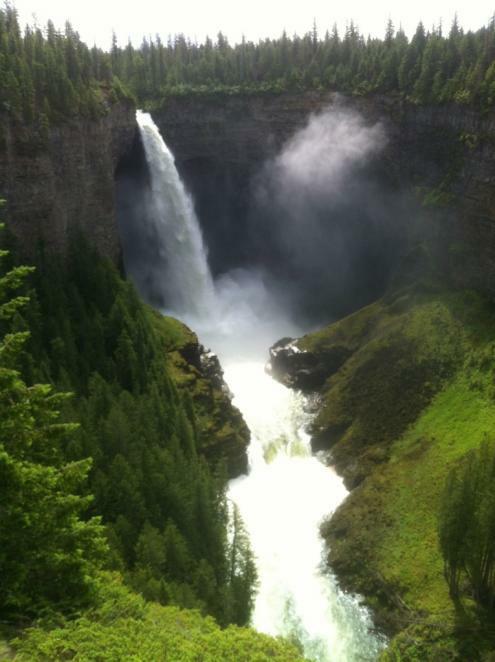 Helmcken Falls is the fourth highest waterfall in Canada, measured by total straight drop without a break. 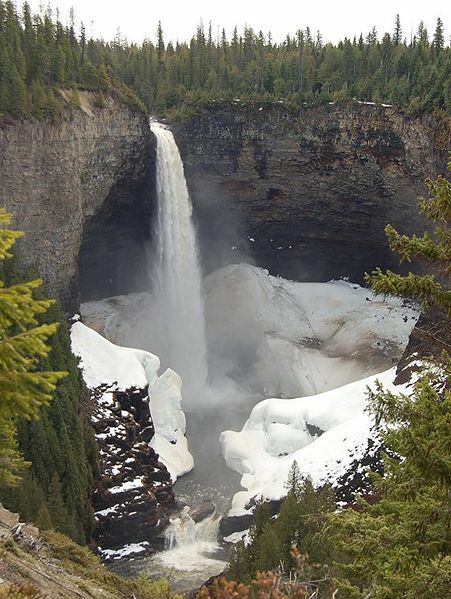 Helmcken Falls drops over the western escarpment of the Murtle Plateau. 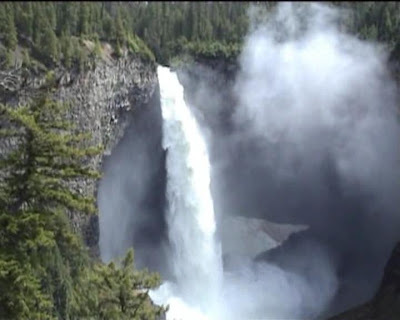 This huge lava deposit in the Wells Gray-Clearwater volcanic field was erupted from nearby fissures starting 200,000 years ago and filled the wide valley of the Clearwater River. 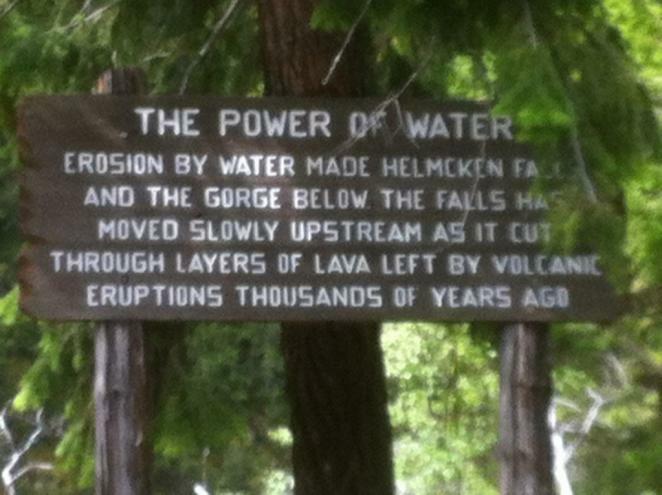 Layer upon layer of fresh lava created the plateau, then enormous floods eroded the lava at the close of the last ice age, about 10,000 years ago. These floods created Helmcken Canyon below the falls.